5th and 6th Generation Aircraft Electronics Layout Plans. An example of how I want this thread to be discussed. 1. I am well aware that ROFAR being proposed would allow 360 degree radar coverage and that it would be the designated radar for the mig-41. So what are the proposed electronics layout that European countries or the US is proposing for their 6th gen aircrafts? 2. 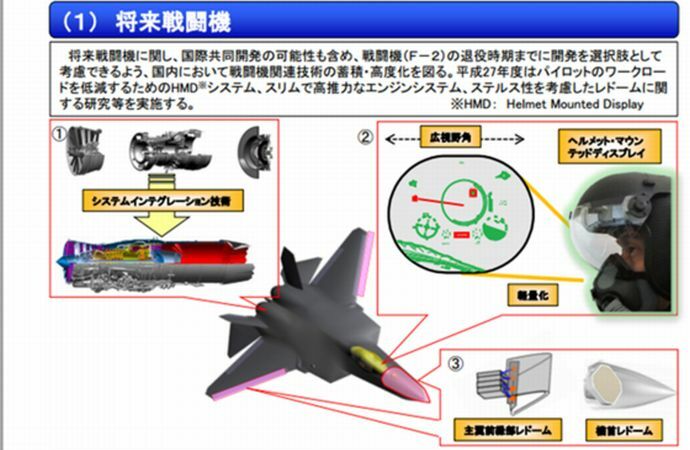 I cant read Japanese so for the 2nd image does anyone know if they are referring to RWRs, L-band radars on the wings? And if there are any additional images or plans they have had proposing how their electronics were to be integrated? India, Turkey and Koreas plans among other 5th gen electronic layout plans I have missed please post here. 3. China's J-20 EOTS idea seems similar to the F-35s. So is there a reason why the idea was not planned for the SU-57? Also is there a reason why the F-35 or J-20 developers cannot stick X-band radars to the side of their aircrafts or why they have not chosen to? Does Russia think its MAWS or 101KS-U is sufficient enough for a 360 degree infrared coverage? Is the SU-57s X-band side radars greater in tracking range than EOTS despite the 120 degree blind spot in the back? The sensitivity of the structure to mechanical impact is achieved by the built-in structure of composite materials optical fibres with special sensors integrated into the network, said the representative of the fund. According to him, "Equip aircraft "Nervous system" will reduce the cost of their maintenance and repair. " thanks to her "Ground services will be able to accurately assess the technical condition of the aircraft, which will allow to maintain the equipment according to its actual condition instead of the costly scheduled inspections. " Do other 5th gen aircrafts have similar plans or ideas to this? 5. Talking about aircraft computer related things is also highly appreciated here. 1. How many and types of mission system sensors for Gen 6? Bus bandwidth and speed? Storage? 2. How many and types of weapons interfaces? Bus bandwidth and speed? Storage? 3. How many and types of communications interfaces for Gen 6? Bus bandwidth and speed? Storage? 4. How many and types of vehicle systems? Bus bandwidth and speed? Storage? Notice that I purposefully defined four separate and distinct buses, because the bus requirements are different for each of the four types. Gen 6 Mission systems and communications are expected to be extremely fast and have high bandwidth, while weapons and vehicle systems are not. Vehicle systems also have unique flight safety certifications, latency, and redundancy requirements which the other buses do not have. Weapons also have unique certification requirements. The bus architectures need to be bullet-proof as it is extremely difficult to upgrade a bus once an inadequate bus is initially installed. An example would be attempting to upgrade from a copper-based 1553 to fiber-based 1G(+) Ethernet during a mid-life update at Depot. The key is to install the bus which is expected to be in use in 20 years so an expensive retrofit isn't required. The second step is to define the effects of Moore's law and how often critical systems will undergo tech refresh when the jet hits Depot. Vehicle systems elements are the most likely to NOT require tech refresh. Obsolescence typically forces a tech refresh every 10 years, so an airplane with a 30 year lifespan will go through two tech refreshes. This defines the technologies which need to be incorporated in to the avionics elements and allows the designer to start trade studies for those elements. For example, vehicle systems may never change over the 30 year life of the program, so a federated architecture may be best. While mission systems and comms will go through multiple changes, and with redundancy requirements, may be best to use a CIP/ICP rack architecture. Anti-hacking requirements also play into the architecture trade study. b. Write the avionics box software where it has a native ability to play on the bus, with no latency issues. Software needs to be designed to continue to operate after failures occur. With 30 million SLOC, an OFP will never be bug-free. Obsolescence typically forces a tech refresh every 10 years, so an airplane with a 30 year lifespan will go through two tech refreshes"
You are spot on with your assessment. I notice that there have been changes like my last source I have provided on the Su-57 that the aircraft was using the same computer used on the SU-35 which than got replaced. And the F-35 previously used firewire than later fiber optics along with Harris giving the F-35s newer processors that offer 25 times more computing power in which I now got a question as to what was the processing power of the old F-35s computer just to multiply that by 25 since I am having difficulty finding the source but I do know it exists somewhere. Thanks for the 6th gen mission system requirements.
. And the F-35 previously used firewire than later fiber optics along with Harris giving the F-35s newer processors that offer 25 times more computing power in which I now got a question as to what was the processing power of the old F-35s computer just to multiply that by 25 since I am having difficulty finding the source but I do know it exists somewhere. Thanks for the 6th gen mission system requirements. Not entirely true, the F-35 uses fiber optics for missions systems communications, and notably EOTS connection. The 2GBit bus fiber channel is used for other connections at least in blocks 1-3. The F-35 is entering TR3 (3rd upgrade to ICP and associated hardware)And despite a lack of announcements or general awareness unless you dig into contracts, the F-22 has had significant and steady upgrades as well. Will dig them back up if interested. Not entirely true, the F-35 uses fiber optics for missions systems communications, and notably EOTS connection" I believe it was a grammar issue on my part since I meant to say that the firewire got replaced with fiber optics. Apologies on my part. "the F-22 has had significant and steady upgrades as well. Will dig them back up if interested. " I am hearing a lot of plans for the F-22 that would be greatly appreciated for this thread as well. I think I am going to start a debate here and see if I am able to convince people that the SU-34 is the best aircraft that provides the best 360 degree coverage among all aircraft excluding AWACS. To some this might be old information but it seems pretty new to me. The UKR-RL houses the M402 Pika-M (Spike M) side-looking radar developed by NII Kulon. 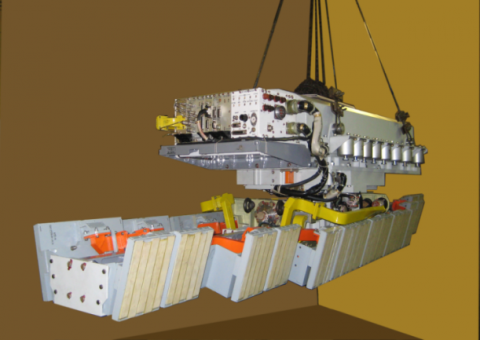 The export-oriented variant of the subsystem has a target detection range of up to 300 km and a resolving power of some 1-1.5 m, the developer claims." The 1-1.5 m he is referring to resolution for the side radars if anyone has RCS estimates on it feel free to add it here. "The fourth-generation radar, Pika-M, is designed for radar reconnaissance, including for detecting enemy military installations - roads, airports, bunkers, fortifications, as well as weapons and military equipment. The station implements the function of processing radar information in real time, and also provides a telescopic observation mode with a resolution of up to 30 cm. In particular, the locator is able to "see" the aircraft elements in detail - engine, keel, weaponry, etc., and determine according to characteristic signs of its type". Also this part here trips me out mentioned later in the source. "The radar successfully completed the state test program in 2016.At the same time, the Research and Development Institute Kulon, by request of the Ministry of Industry and Trade, is developing a technology for creating a fifth-generation side-looking radar with an active phased antenna array (AFAR)." Isnt the side radars of the SU-57 considered 5th gen? Because I do recall the current side X-bands being AFAR or AESA. Are they planning to develope newer 5th gen side radars to replace the current ones? It seems like a pretty good source to me. "Characteristic tail "sting" of the Su-34 has become even more in comparison with the Su-27, and houses a radar tracking the approach of an enemy from behind." "The Platan is an advanced, integrated electro-optical targeting system designed for the Su-34 long-range strike fighter. The Platan is located under the Su-34 fuselage and allows delivery of a wide array of precision-guided bombs and missiles day/night in all weather conditions. Besides, the sensor system also allows identification of potential targets from standoff ranges. The targeting system was deployed along with the Su-34 bomber beginning in 2011." I should have also included the addition of 4th to 4.5th generation aircrafts for this thread as well. So if we were to exclude AWACS would this aircraft as a bomber have the best 360 degree coverage against threats? Because of 360 degree radar, EOTS and RWR would it be the most superior aircraft among fighters and bombers regarding 360 degree coverage against threats in general because of it? All times are GMT. This page was generated at 00:31.